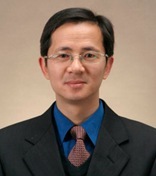 1.Cao Y, Zhao B, Han Y, Zhang J, Li X, Qiu C, Wu X, Hong Y, Ai D, Lin J, Fu Z*. Gene gun bombardment with DNA-coated golden particles enhanced the protective effect of a DNA vaccine based on thioredoxin glutathione reductase of Schistosoma japonicum. Biomed Res Int. 2013;2013:952416. 2.Zhang M, Hong Y, Han Y, Han H, Peng J, Qiu C, Yang J, Lu K, Fu Z*, Lin J*.Proteomic analysis of tegument-exposed proteins of female and male Schistosoma japonicum worms. J Proteome Res. 2013 Nov;12(11):5260-70. 3.Y. Han, M. Zhang, Y. Hong, Z. Zhu, D. Li, X. Li, Z. Fu*, J. Lin*. Characterization of thioredoxin glutathione reductase in Schiotosoma japonicum. Parasitol Int, 61 (3): 475-480，2012. 4.Qiu C, Fu Z, Shi Y, Hong Y, Liu S, Lin J*. A retinoid X receptor (RXR1) homolog from Schistosoma japonicum: its ligand-binding domain may bind to 9-cis-retinoic acid. Mol Biochem Parasitol. 2013 Mar;188(1):40-50.